So you’ve purchased the airline tickets, arranged your accommodations, and decided on all of the sites that you want to see and visit in Rome. You’re done, right? Well, not exactly. Have you considered how you’re going to get around once you get to Rome? Maybe your plan is to walk everywhere and in a pinch just hail a cab? Well that certainly might be feasible, and to be honest the best way to see Rome is to walk its streets. Consider for a moment, however, the size of the city and the location of Rome's most famous sites. 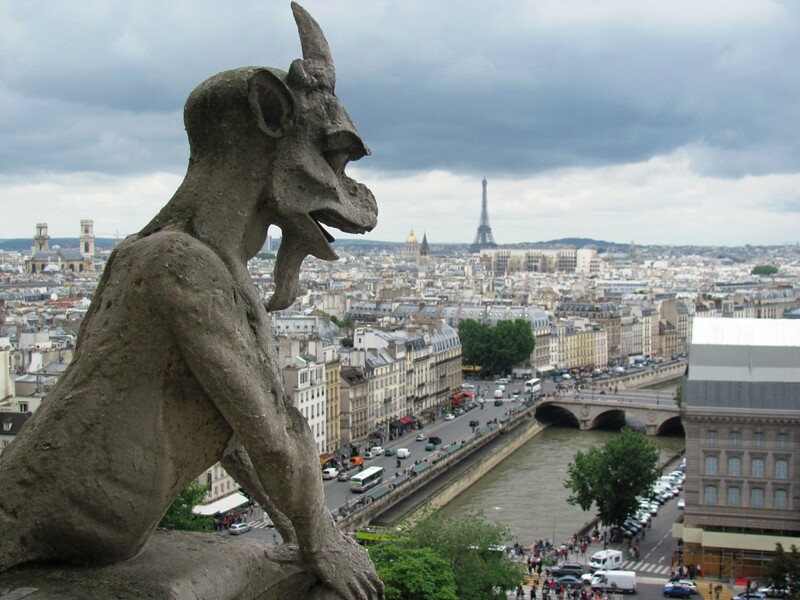 Check your map and you will see that they are spread far and wide across this sprawling city. No matter what your fitness level, or desire to hoof it everywhere, there will come a time when it’s just necessary and practical to utilize the public transportation system in Rome. 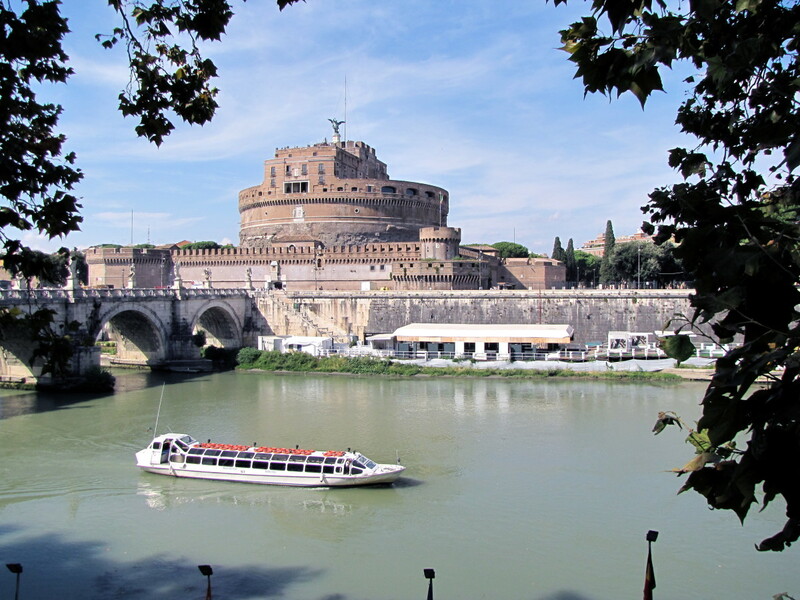 With just a little knowledge you can traverse the city with ease and save some serious euro by avoiding the expensive and sometimes shady practices of some of Rome’s cabbies. Let’s start with the transportation basics. You’re in Rome and you want to get from point A to point B. What are the options? Well, you can walk, you can take the bus, you can take the metro, you can take a combination of the three, or you can take a taxi or car service. It’s that simple. 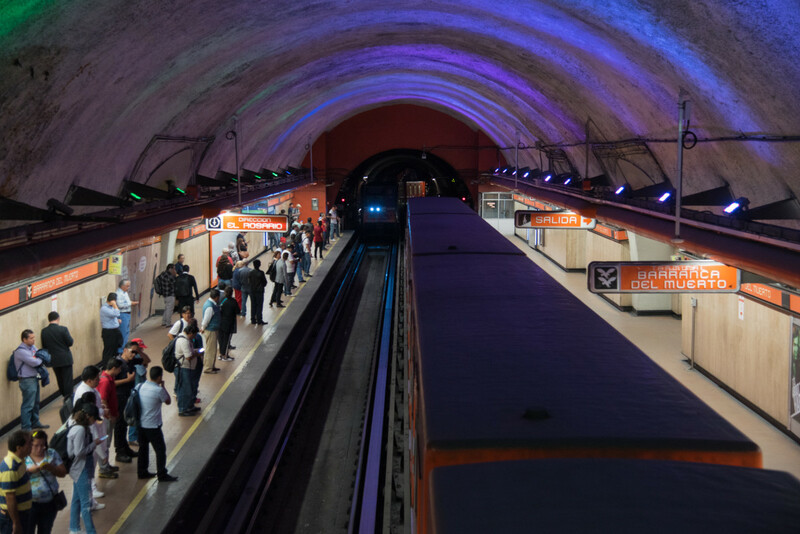 The Metro is Rome's version of the subway system here in the United States and is the fastest method of travel within Rome. 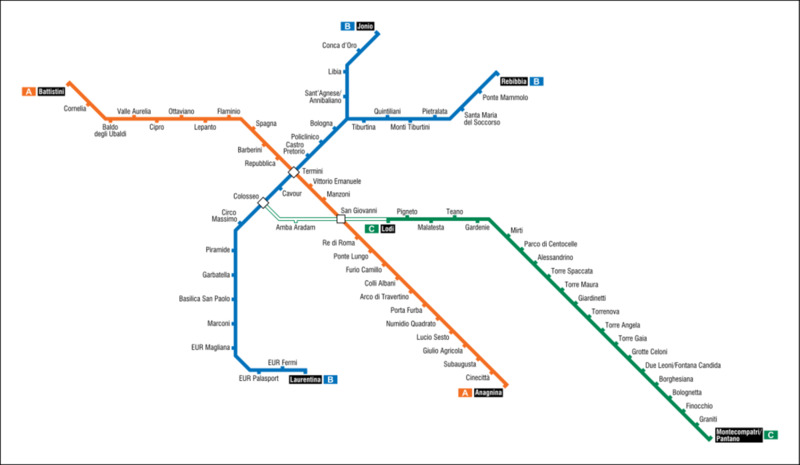 Rome has three underground metro lines, the A Line (orange), the B Line (blue), and the C Line (green). The current system has an X shape to it with two of the lines intersecting at the Termini Station, the main train station in Rome. A sign with a big red M on it indicates the entrance to the subway System. 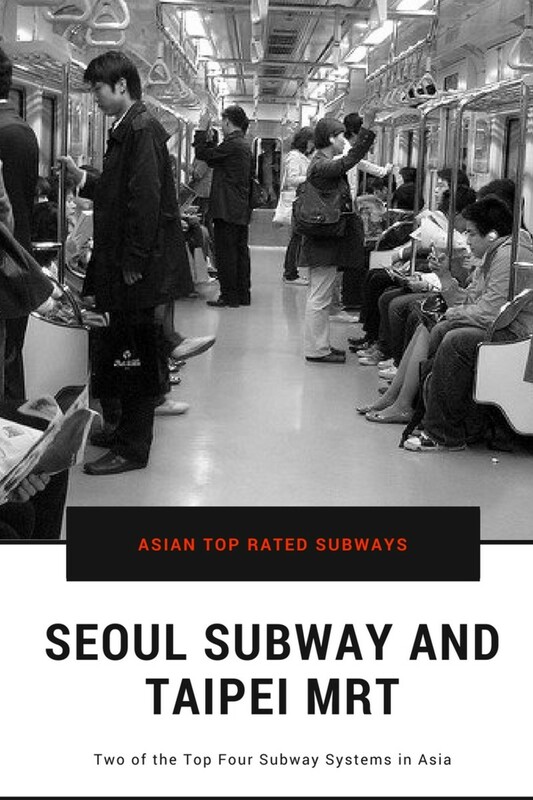 The Metro runs every day from 5:30 am to 11:30 pm. 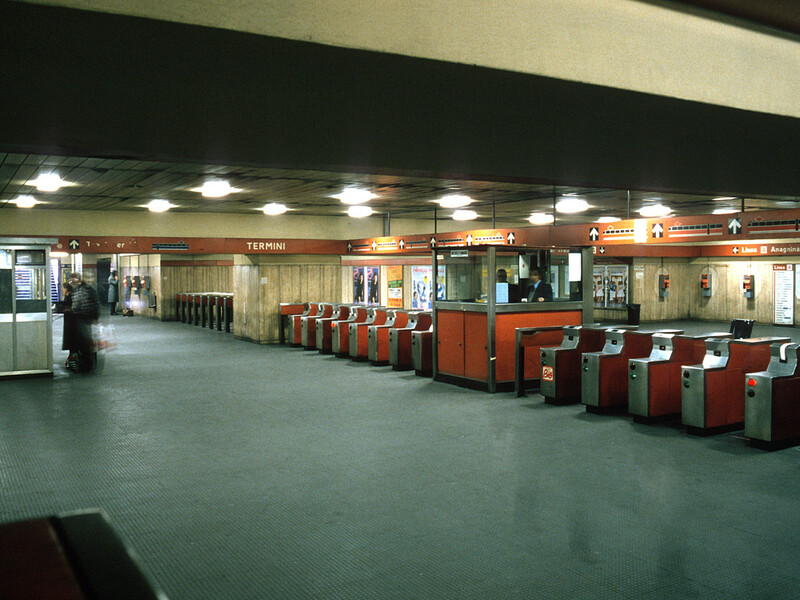 The A Line connects the northwest part of Rome with the southeast part of the city and began service in 1980. 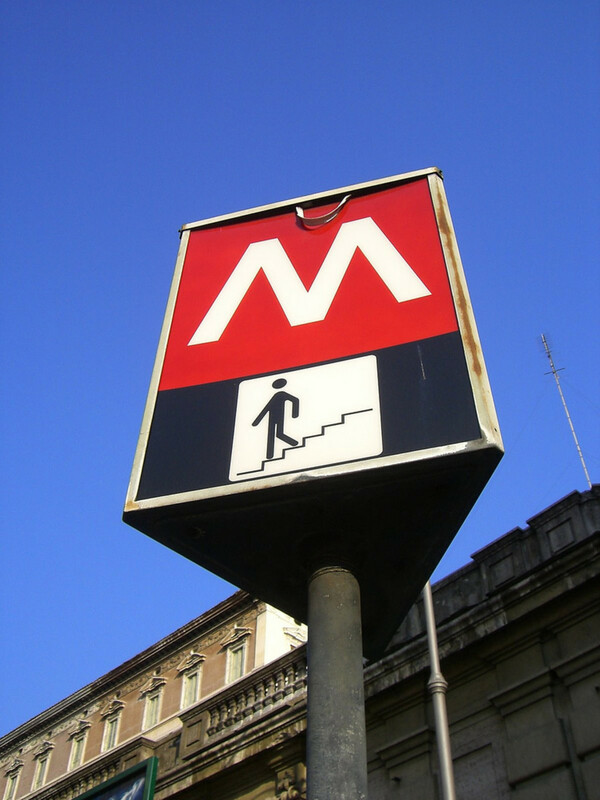 The A Line currently has 27 stations with terminals at Battistini and Anagnina. The A Line is distinguished by the color orange. The B Line was actually the first metro line in Rome and started service in 1955. The B Line connects the northeast section of Rome with the southwest part of the city. The B Line currently makes 22 stops with terminals at Rebibbia and Laurentina. The B Line is distinguished by the color blue. A third line, the green C Line opened in 2014, but is not of much use to tourists at the moment as it runs south-east to the outskirts of the city. There are also plans for a fourth line that will be called the yellow D Line. Tickets are 1.5 euro and are available from news stands, tobacco shops, and vending machines that can be found in all of the metro stations. 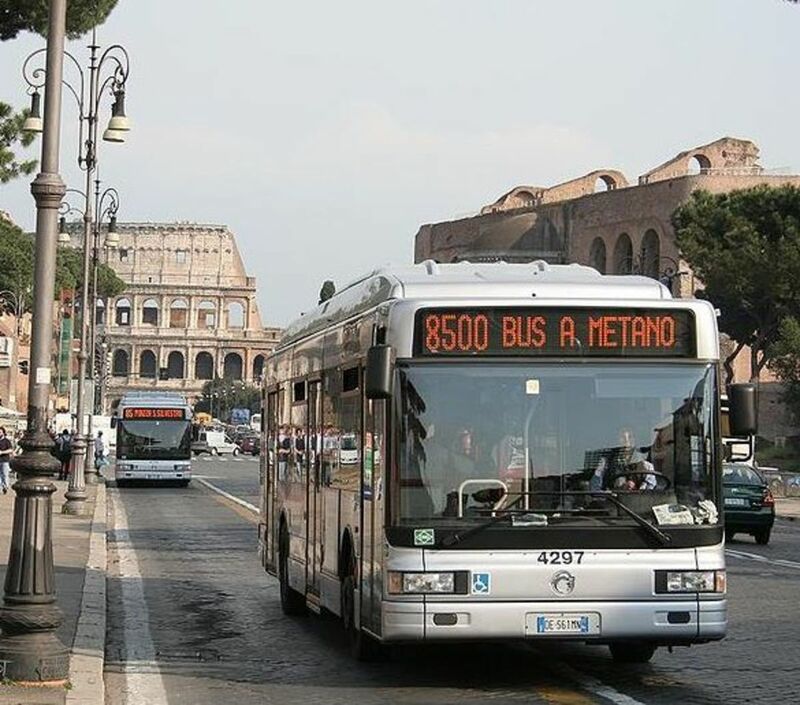 Buses in Rome are operated by ATAC, the Bus and Tramway Company of the city of Rome. For a fee of only 1.5 euro you can ride to most parts of Rome. The buses are often very crowded and some of them make numerous stops so the travel can be slow at times. Your ticket is valid for 100 minutes and you can get on as many buses and trams plus the metro during that 100 minute time period, all on the same ticket. Tickets can be purchased in tobacco shops or bus terminals. You must purchase your ticket before you get on the bus because the buses do not have the machines on them that issue tickets. 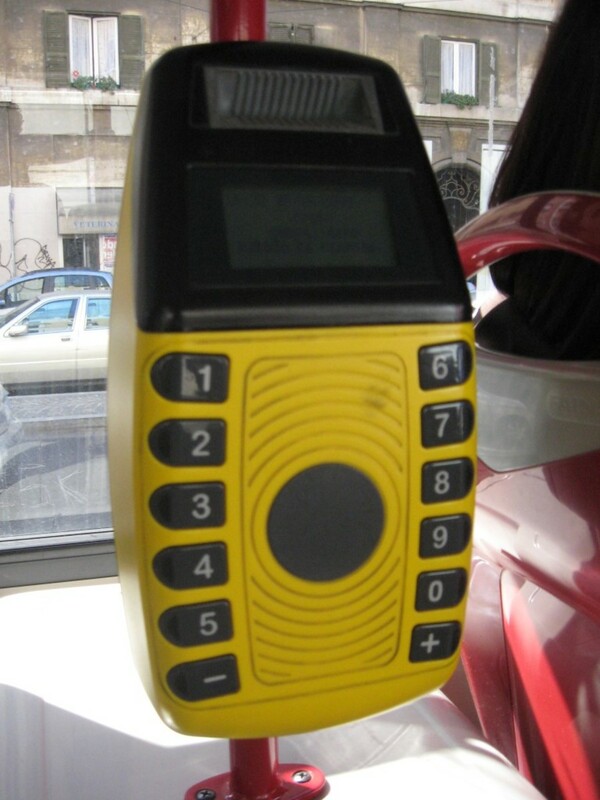 Also, be sure to validate your ticket in the yellow validation machines located on the buses (see photo). Failure to do so can result in a hefty ticket. Bus stops are identified by a yellow sign (Fermata) that displays the numbers of the buses that stop there (see photo below). The signs also contain a list of each buses stops along its route. The buses provide service from 6 am to midnight daily. After midnight and until 6 am you can ride on what are called the night buses, look for the "N" that is displayed in the front of the bus. The night buses run on a limited number of the main routes so it might be best to take a taxi in the early morning hours if you can find one. No. 23 - From San Paolo to Ostiense to Vatican City. No. 40 - From the Termini Station to Vatican City. No. 63 - From Isola Tiberina the Borghese park. No. 64 - From the Termini Station to Corso Vittorio Emanuele II to Vatican City. No. 75 - From Termini Station to the Roman Forum to the Roman Colosseum. No. 81 - From San Giovanni to Vatican City. No, 87 - From Castel Sant'Angelo to San Giovanni. No. 116 - From Via Veneto to Campo de Fiori to Piazza Navona. No. 119 - Makes a circular route from Piazza Augusto Imperatore to the Pantheon. No. 492 - From Vatican city to Castel Sant'Angelo to the Pantheon to the Termini Station. One of the most popular bus lines is the No. 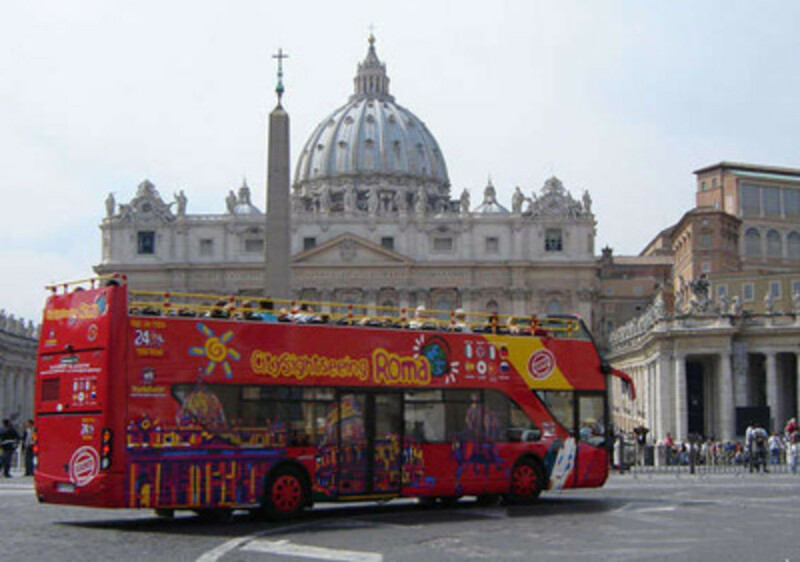 40 bus, which travels from the Termini station through the historic center of Rome and then up to the Castel Sant'Angelo and the Vatican. The No. 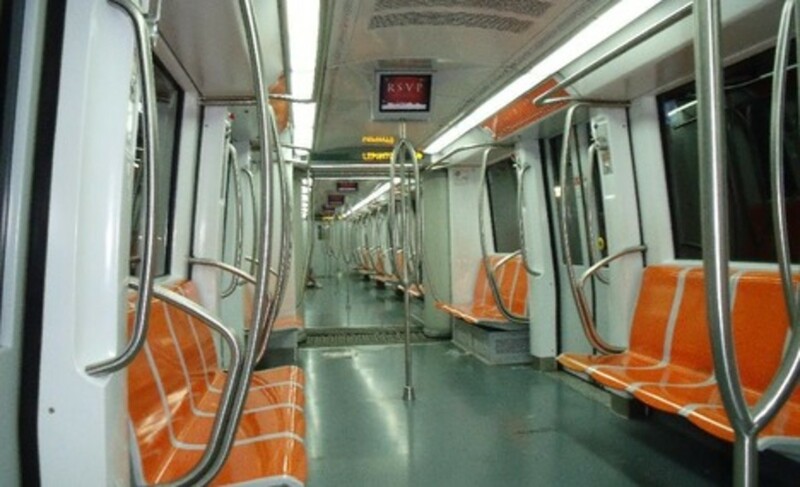 40 runs frequently and is very convenient for places that the Metro does not go. The 64 also goes from the Termini station to the Vatican. Be careful on this bus as it is a favorite with pickpockets. The 116 and 117 are little electric buses that wind through the historic center of Rome. A single ticket ride cost 1.5 euro and you can change buses or into and out of the metro on one trip (valid for 75 minutes). If you are not comfortable using the various public transportation options in Rome you can always resort to a taxi or car service. 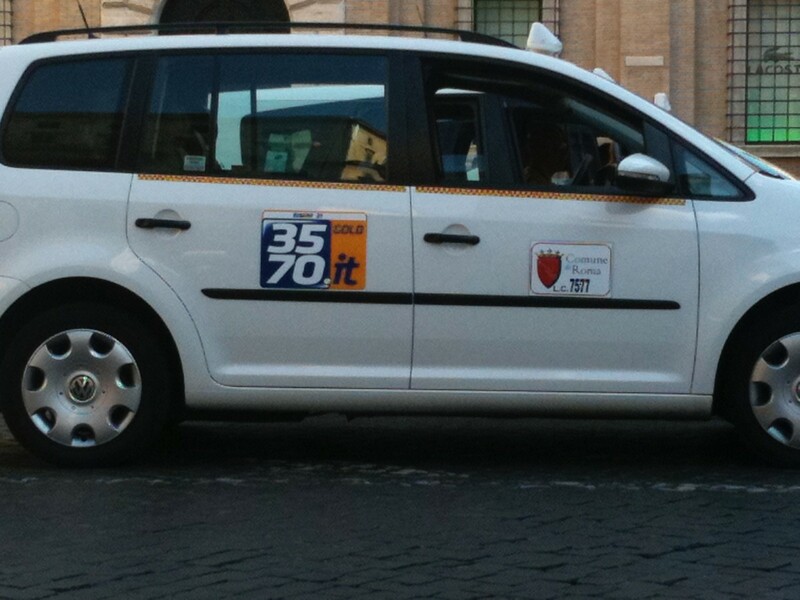 Taxi’s are readily available in Rome and are licensed with set rates on transfers to and from the airport. Just make sure you are dealing with an authorized taxi, they will always be driving white vehicles, and will have an emblem on the door that reads “comune di Roma”. There are also a number of car service companies that can make for a quick and efficient way to get around. On a number of occasions we have used a car service to get to and from the airport and they are prompt, and actually not as expensive as you may think, especially when traveling with a number of people to split the fare. One of our favorites to use is myDriver. They have proven to be courteous, timely and very reasonable. You can check them out here. A popular alternative to the city and tour buses are what's called the hop-on/hop-off (Ho-Ho) buses which are open-top double-decker. In the last few years there has been an explosion in the number of these buses, and at last count there were at least seven different companies operating. You can purchase an all-day ticket for about 30 euros, which can be purchased as you board the bus. Your ticket provides you with access to any available seat and headphones to plug into outlets so you can listen to a running commentary on approaching sights. 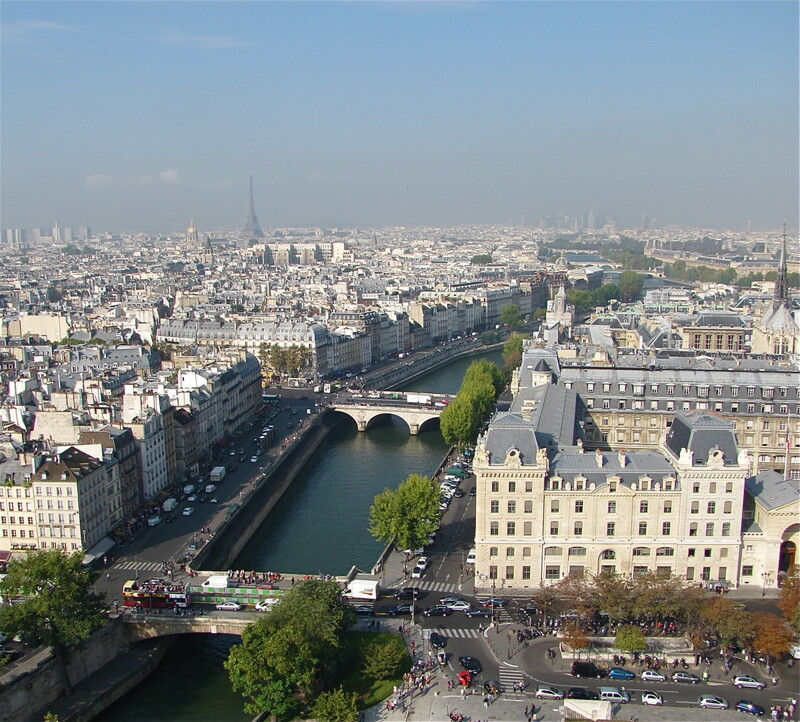 Commentary is offered in English and nearly every European language. Most of the companies follow more or less the same route and they pretty much all start near the Termini station. 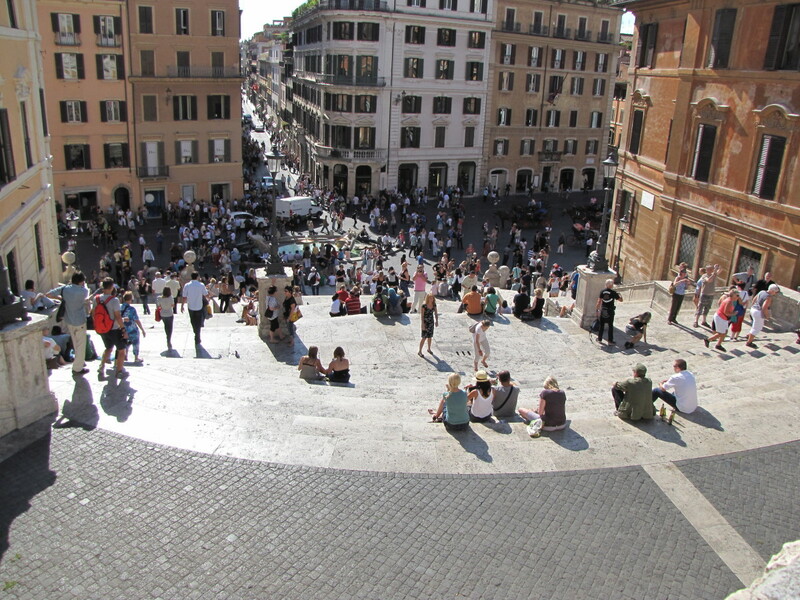 If it’s a beautiful day in Rome be sure and grab a seat on the upper open level. Hopefully you are now a little more comfortable with the various transportation options available in Rome. The best way to eliminate any fear and anxiety is to just get out there and hop on that bus or the metro. After a trip or two you'll be a pro and traversing the city with ease. 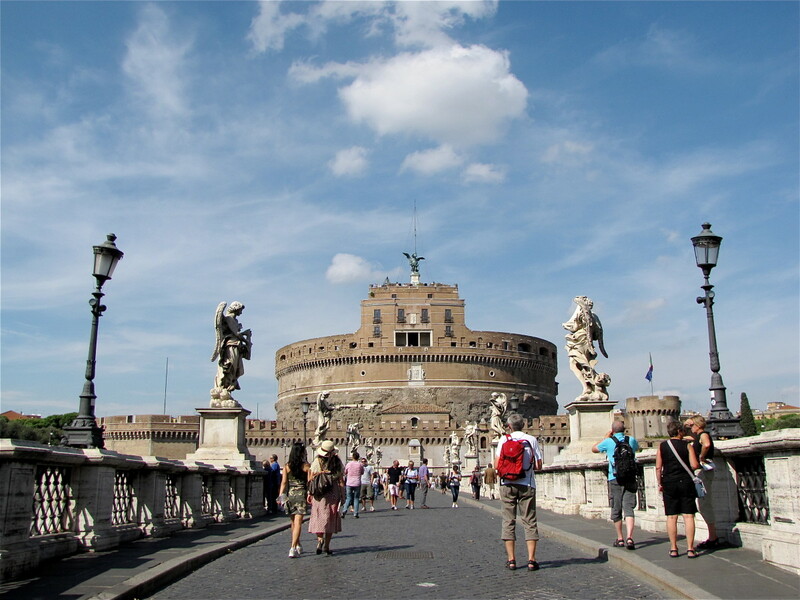 Enjoy your visit to Rome, it truly is the eternal city. Hi Nozes. 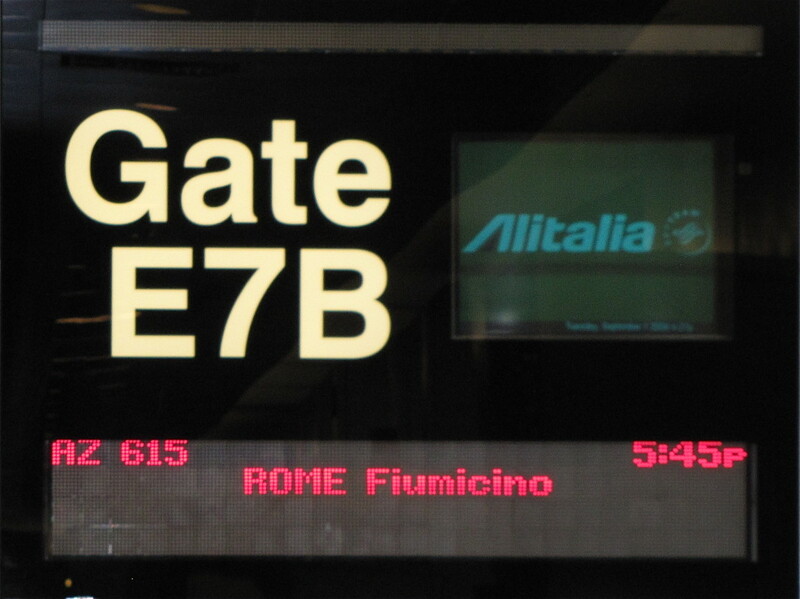 Absolutely you can get from the Roma Termini Station to the Vatican. You would get off at the Ottaviano stop. You want to take the Metro Red Line A. It's no more than a ten minute walk from the Ottaviano station to the Vatican. Hi Bill, Great article. Ill be staying near Termini at www.fourseasonshostelrome.com Ill be there in May 2016 and was thinking that id only really need to use the metro to get to the Vatican and back and for the other major sites i can walk around the city. Is this possible. Thanks for any advice. Hi Kristen. We have been fortunate the last few years to have visited some amazing places and Rome is certainly a great destination. Christmas in Rome sounds wonderful. I'm sure your brother will have a great time. Thanks again and have a great weekend. Bill, you're such a world traveler, Bill. 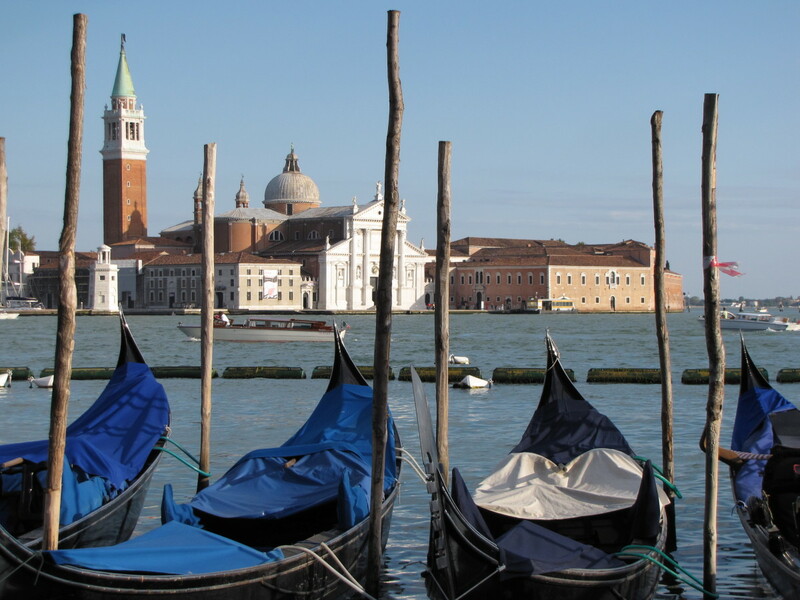 Great travelogue on your adventures in Rome. Voted up for useful. 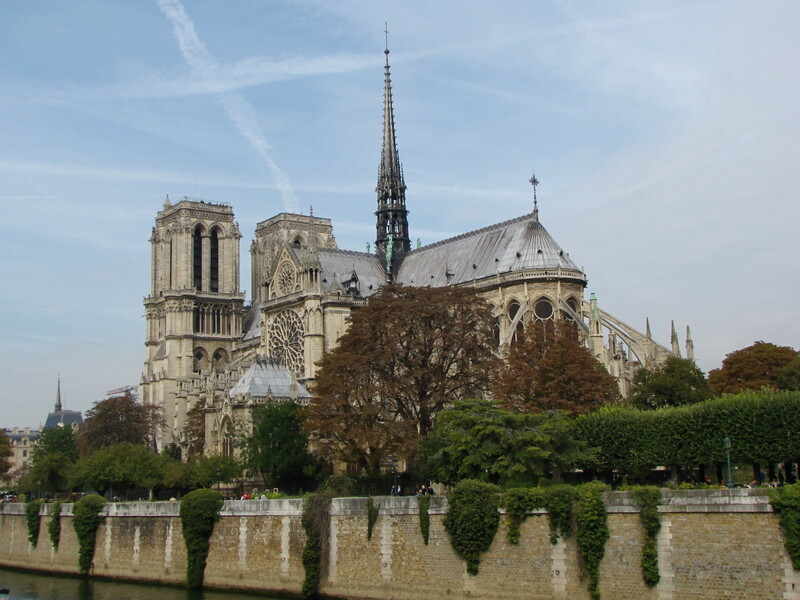 My brother is going there this Christmas holiday season--in part of his European vacation this year. Well done you on a great hub on Rome, wish id read something like this before going 4 yrs ago!! Rome is a must see city and this article a must read for all going!! Vert easy to get done by some dubious cabbies unfortunately! We did a lot of walking and hop-on-hop-off .Excellent piece voted up, interesting, awesome . . .Keep it coming!! Hi prasetio30. Glad you enjoyed it. Rome is beautiful, hope you get there some day soon. Thank you for the comments and vote up. Brother, you have complete information about Rome. I should put this on my travel list. You have beautiful pictures and I really enjoy it. Good job and voted up! Hi carter06. You make me laugh! Can you tell I have a thing for Italy? It's one of my addictions, along with HubPages. Thank you for the kind comments. Ciao.